In response to the 9/11 terrorist attacks, Congress passed the REAL ID Act in 2005 to establish minimum security standards for state-issued driver licenses and IDs to help prevent fraudulent identification, and starting October 1, 2020, the Act becomes effective. That said, there has been a bit of confusion surrounding REAL ID and under what circumstances it’s required to have one. According to the Act, a person only needs a REAL ID driver’s license or identification card if they plan to board a domestic, commercial flight; enter a secure federal building; or visit a military installation on or after October 1, 2020, and does not have another federally approved ID (ex. unexpired US Passport or military ID) to use for those purposes. Credit union members may still use their non-REAL ID to establish identity for the purpose of opening an account at the credit union. Both REAL IDs and non-REAL IDs can be accepted to prove identity, address, etc. for purposes of the financial institution’s Customer Identification Program (CIP). Also, under this law, Federal agencies will be prohibited from accepting driver’s licenses and ID cards from states not meeting the Act’s minimum standards. Thankfully, North Carolina and South Carolina are REAL ID compliant. Presentations on advanced account issues will be included in the League’s upcoming Compliance Conference in October and at the BSA/AML Conference in January 2019, where this topic will again be covered. 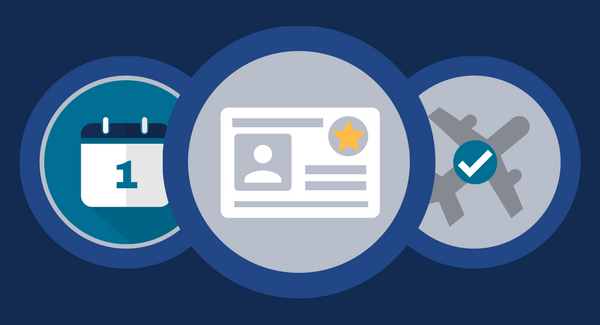 For more information on state-specific REAL ID requirements, see the resource links below.